This Multinautic 8 in. Aluminum Dock Cleat can be installed on all Docks and is specially designed to fit into the Twintrack or Unitrack Systems built into Multinautic's Aluminum Docks. This cleat has a unique design that, with an angle of 30 degrees, ensures a clearance from the corner of the dock and prevents contact with the hull of your boat. A VERY large opening in the center and a good ground clearance facilitates more than all its use and this with ropes of all sizes. This cleat is solid, durable, and pleasant to the eye and will keep this aspect through time. 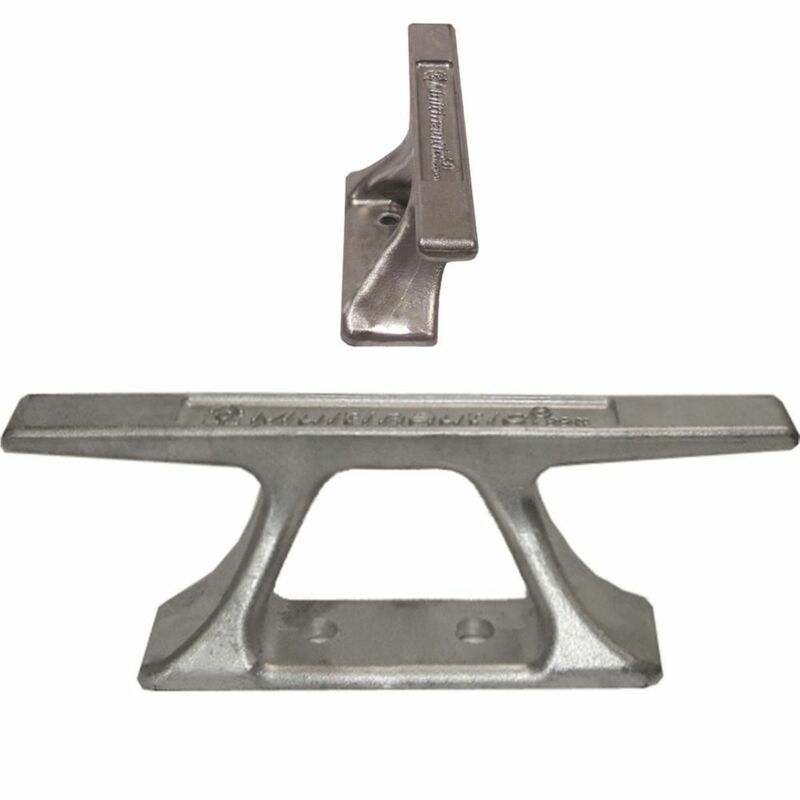 8 inch Multinautic Cast Aluminum Dock Cleat This Multinautic 8 in. Aluminum Dock Cleat can be installed on all Docks and is specially designed to fit into the Twintrack or Unitrack Systems built into Multinautic's Aluminum Docks. This cleat has a unique design that, with an angle of 30 degrees, ensures a clearance from the corner of the dock and prevents contact with the hull of your boat. A VERY large opening in the center and a good ground clearance facilitates more than all its use and this with ropes of all sizes. This cleat is solid, durable, and pleasant to the eye and will keep this aspect through time.